The Maritime Museum of British Columbia—Western Canada’s oldest Maritime Museum—is dedicated to telling the story of the province’s rich maritime heritage. Our collection showcases B.C.’s dynamic history seen through the lens of humankind’s relationship with the sea, from the First Peoples of this province, to journeys of exploration and adventure, to the CPR steamships that plied these waters, and everything in between. Victoria Butterfly Gardens offers a unique opportunity for people of all ages to experience the beauty and curiosity of a tropical jungle up close. As you wander through, we want you to meet our family. With surprises at every turn, you’ll encounter poison dart frogs, tortoises, large iguanas, flamingos, tropical ducks, free flying tropical birds and more. We house a large variety of tropical fish swimming in our serene pond and stream circulated by a stunning waterfall. Thousands of tropical butterflies (up to 70 species) fly through our large facilities the size of almost 3 basketball courts. At Adrena LINE Zipline Adventure Tours located in Victoria, experience a fully guided tour that provides an exhilarating ride up to 60km/hr as you soar up to 150 feet off the ground on eight scenic ziplines ranging from 130 feet to an unforgettable 1000 feet. Our professionally trained guides emphasize safety and comfort, ensuring a ride full of thrills, awesome beauty, and fond memories. This will be the highlight of your Victoria experience. IMAX® Victoria now features state-of-the-art IMAX 4K Laser projection technology coupled with an immersive 12-channel sound system - Bigger is really just the beginning! Home of the largest IMAX screen in British Columbia measuring 61’high x 85’ wide (18.59m x 25.9m), IMAX Victoria in the Royal BC Museum provides a premium movie experience in Victoria. The Parliamentary Gift Shop is located on the first floor of the Parliament Buildings in the hallway directly adjacent to the Lower Rotunda. There are a variety of souvenir and protocol gifts available that are custom made for the Legislative Assembly of British Columbia. 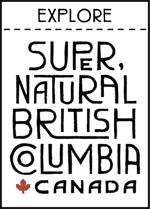 Nearly all items are designed and fabricated in British Columbia or Canada. Educational resources, jewellery, ornaments, stationery, specialty items and gift packages are available.